FOCUS St. Louis® is pleased to announce the incoming board chair and officers for the 2017-18 fiscal year. The organization also welcomes eight new members to its board of directors. 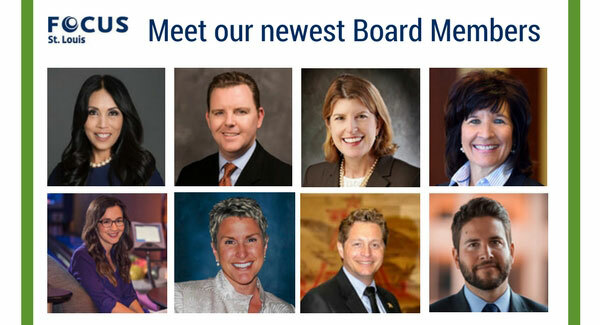 Board members are community leaders who demonstrate interest and commitment to FOCUS’ mission to educate leaders, connect leaders and facilitate the important conversations in the St. Louis region. 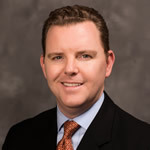 Vice Chair – Mark Darrell, Senior Vice President, General Counsel and Chief Compliance Officer, Spire, Inc. 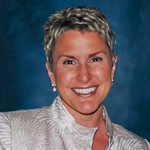 Dawn M. Johnson, Officer, Greensfelder, Hemker & Gale, P.C. 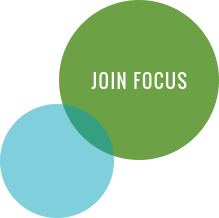 In addition, FOCUS St. Louis® welcomes to the board two youth members, who are recent graduates of FOCUS’ Youth Leadership St. Louis program: Katie Nguyen from Nerinx Hall and Ope Falako from Ladue Horton Watkins High School. Both will serve one-year terms. Maria Briggs, a Financial Advisor at UBS Financial Services, is one of the founding partners of the Omega Group, providing advisory and brokerage services across the U.S. the last 25 years. After receiving both her bachelor’s and MBA from Washington University in St. Louis, she earned both the CFP and CIMA designations in Financial Planning and Investment Management Analysis and has been recognized as one of America’s Top Financial Planners. 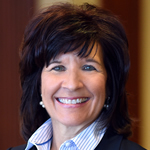 Prior to joining UBS, she was with Smith Barney 17 years and has management, operations and lending experience from Boatmen’s Bank, Community Federal Savings and Loan and Citicorp Mortgage. Maria has received multiple President’s Volunteer Service Awards for her time given to Mentor St. Louis, St. Louis Tax Assistance Program and Habitat for Humanity. She was in the 2008-09 Leadership St. Louis class and currently serves on committees for Rosati-Kain High School, Washington University and Forest Park Forever. She is a St. Louis Mosaic Project ambassador and was one of the founding board members of Belas Artes Multicultural Center and Art Gallery. Steven Burghart serves as President and Regional Service Line Director for Pediatrics and Women’s Health, SSM Health Cardinal Glennon Children’s Hospital. His professional experience includes serving as CEO of Holtz Children’s and The Women’s Hospital at University of Miami / Jackson Memorial Medical Center, where he helped lead Jackson’s 421-bed tertiary and quaternary referral center for complex OB/GYN, GYN Oncology and Pediatrics. Before Jackson Health System, he worked for Tenet Healthcare in regional and hospital roles and served as COO at Good Samaritan Medical Center in West Palm Beach and COO at Hialeah Hospital. Steven graduated from Baylor University and earned master’s degree in health care administration from Trinity University. 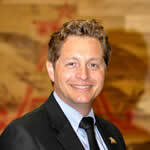 He is a three-time winner of Becker’s “40 under 40” Hospital Executive Rising Stars (2011-2013). He has served on several community boards, including Faith Hope Love Charity’s “Standown House” for Veterans, Meals on Wheels, Doral Business Council and Ukulele Kids Club. 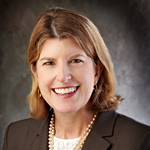 Molly Hyland was named as Senior Vice President, Community Relations and Government Relations, for Commerce Bank in 2015. In this role, she is responsible for strategy and team leadership for all community relations and charitable contributions activities within the St. Louis market and she develops and manages government relations strategy, relationship building and communications between Commerce executives and local, state and federal elected officials. She joined Commerce Bank in 2007 in a public relations and investor relations role and has more than 25 years of experience in strategic communications, advocacy and nonprofit board experience. Prior to Commerce, she held positions at KMOX Radio and FleishmanHillard. Molly holds a bachelor’s in communications and marketing from Marymount University in Arlington, Va. She is currently a member of steering committee for the Mosaic Project and chairs the St. Louis Regional Chamber’s Economic Growth & Fiscal Policy committee. She was a member of Leadership St. Louis class of 2002-03 and completed the Commerce Bank Advanced Leadership Development Program. 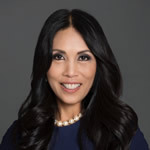 Dawn M. Johnson, as head of Greensfelder, Hemker & Gale, P.C.’s Franchising & Distribution industry group, leads a team of transactional and litigation attorneys who represent clients nationally and internationally, from startups to some of the most recognized brands. She is also co-leader of the firm’s appellate practice and has argued before the Missouri Supreme Court and Missouri Court of Appeals, the Illinois Court of Appeals and the U.S. Court of Appeals for the Eighth Circuit. Before receiving her law degree from Washington University, Dawn was an award-winning reporter for the Herald & Review daily newspaper in Decatur, Ill. After law school, she served as law clerk to U.S. Magistrate Judge David Noce in the U.S. District Court, Eastern District of Missouri. A graduate of the 2011-12 class of Leadership St. Louis, Dawn serves on the boards of directors for Safe Connections and Gateway Legal Services, Inc. She also served on the Citizens Advisory Committee for CityArchRiver 2015 and as chair of the College Summit Missouri Site Advisory Board. She also currently serves on FOCUS’ Leadership, Alumni and Membership Committee. Emily McNew has been a member of United Way of Greater St. Louis’ marketing team for 3.5 years, and currently serves as Director of Digital Engagement. She is responsible for driving the overall vision for United Way’s digital experience, including web and mobile experiences, social media, email marketing and other digital and online marketing. Prior to United Way, she was the Communications Manager at Wyman Center for more than five years. She holds a bachelor’s degree in communication from Truman State University, a certificate in nonprofit management and leadership from UMSL, and her master’s degree in advertising and marketing communications at Webster University, where she wrote her thesis on building and managing successful brands in the nonprofit sector. 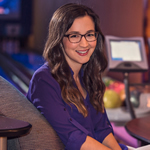 Emily graduated from FOCUS St. Louis’ Emerging Leaders Program in the Spring of 2014, and has enjoyed staying connected to the organization and fellow alumni over the years. Amy Shaw is the Senior Vice President of Engagement and Content at the Nine Network of Public Media, overseeing Nine’s content creation, digital, and community engagement priorities. She is recognized as a national leader in community engagement and public media. Amy leads the station in groundbreaking work that leverages on-air, online and community engagement for measurable impact around important and complex issues facing communities. She leads a team of talented producers, project managers, and evaluators to create sustained community dialogue around issues that matter to the St. Louis. In 2015, she was selected as one of ten inaugural Eisenhower Zhi-Xing Fellows. The Fellowship engaged ten outstanding American mid-career leaders from the public, private and nonprofit sectors to advance bilateral dialogue and understanding between the China and the United States. Amy was a member of the 2012-13 class of Leadership St. Louis. She serves on numerous local and national boards and is deeply committed to the power of public media and the strengthening of communities across the country. Julio Suárez is Senior Director of Community Affairs at Anheuser-Busch. In this position, he sets and leads the company’s multicultural outreach strategy in the U.S. and collaborates with internal stakeholders in support of the Anheuser-Busch’s Better World programs. Before joining Anheuser-Busch in 2014, he was Director of Diversity Outreach at Darden Restaurants and served in a variety of positions at Sprint over the course of nine years. 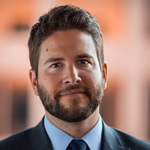 Julio holds bachelor’s degrees in business administration and communication studies from the University of Kansas and an MBA from Baker University. Throughout his career, he has served on multiple community boards, including the Congressional Hispanic Caucus Institute Advisory Council and the Florida Governor’s Commission on Jobs for Floridians with Disabilities. He is currently a board member of the Hispanic Chamber of Commerce of Metropolitan St. Louis Foundation and the Urban League of Metropolitan St. Louis. Tony Zagora, a Senior Vice President and Partner in FleishmanHillard’s public affairs group, has worked on behalf of several Fortune 500 companies on reputational and issues based campaigns since he joined the firm in 2005. His areas of expertise include public affairs campaign planning, business-to-government outreach, coalition building and community affairs. In addition to his client work, Tony is the Director of Culture and Engagement for FleishmanHillard’s headquarter office in St. Louis. Before joining FH, he worked for former New York Governor George Pataki in his Federal Affairs in Washington, D.C. Tony graduated from the State University of New York at Albany with a bachelor’s degree in public policy and was a member of the FOCUS Leadership St. Louis class of 2012-13.